For years now, I’ve been storing my seeds in a big bin. It was messy. Hard to find what I was looking for. And often resulted in spilled seeds in the bottom of the bin. I’ve been thinking for awhile about a way I could store my seeds better. For this weeks Saturday on the Farm, I thought I share ideas for storing seeds. I saw a few people storing their seed packages in photo albums. The album in the picture below is for 4×6 photos. It is nice to be able to see your seeds at a glance. And they are safely tucked away on a shelf where they can’t be spilled. If you don’t have a lot of seed packets, this could work very well for you. Much better than my old system of throwing everything into a bin. My problem with that system is I have too many seeds and not enough shelf space. Once day I was sitting here and it dawned on me. Why not use these drawers that I organize other stuff in? I thought I was brilliant. 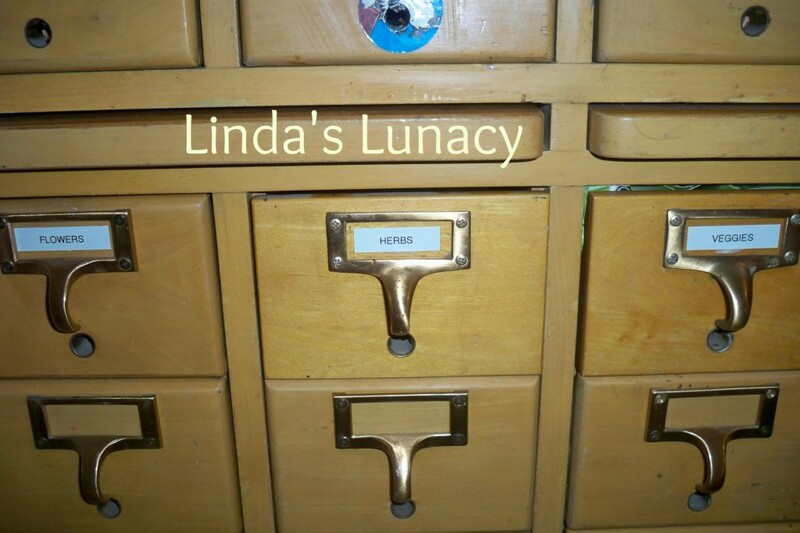 lol I have this old library card file cabinet in my schoolroom that I store school supplies and other stuff in. I had a few empty drawers. So I decided to store my seeds there! I now have three drawers labeled flowers, herbs, and vegetables. The smaller packs lay on their sides and fit perfectly. 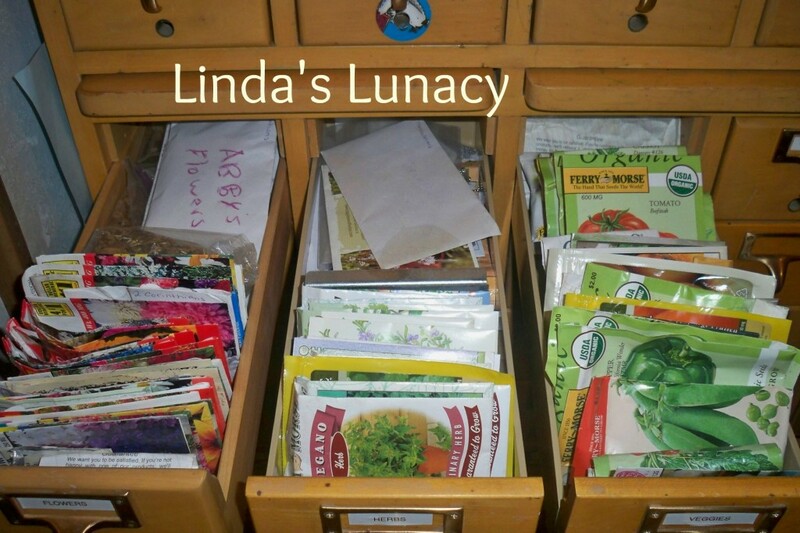 Larger packs, envelopes, and bags of seeds can lay down in the back of the drawers. Yes, that is a lot of seeds. Maybe I have a seed problem…….nah! Now I realize that not everyone will have a cabinet like this to store their seeds in. 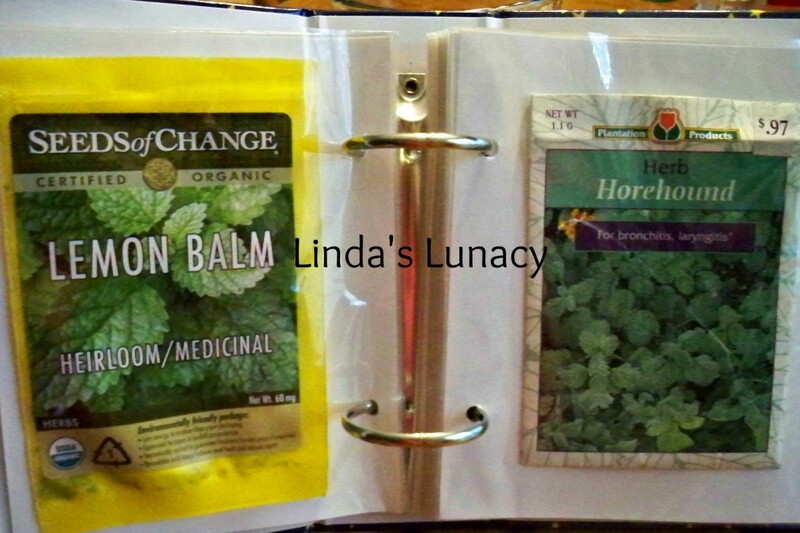 You can purchase under the cabinet recipe card files that would be perfect for seed packages. I have one, it attaches to the bottom of the kitchen cabinet and the drawer pulls out. I just looked on Amazon, and I couldn’t find it, but there are many, many options for recipe card files that would be able to hold seed packets.There are even two drawer card file units that could sit on a cabinet, or shelf. Did you see the two drawer cd cabinet on the big cabinet in the picture above? That would be perfect for storing seeds, as well. I also have some of those same drawers that held vhs tapes. Those would hold all sizes of seed packages if you have any still hanging around, like I do. You could also use a shoe box. Either a cardboard box that your shoes came in, or a plastic one from the store. This could be a convenient way to store seed packages. Even the larger packages would fit in the shoe box. Here’s another neat way to store seeds, the Seed Keeper. I am now happy with my seed storage. And it is so much easier to find what I’m looking for! How do you store your seeds? *This post contains affiliate links. If you click the link, and make a purchase, I will receive a small commission. GREAT idea! I LOVE that card catalog ; ). Lisa recently posted..Shakespeare’s King Lear! I love that cabinet. Right now mine are in a shoe box in baggies. I’m a seed “collector” but I try to plant them all. What a gorgeous card catalogue! And aren’t you clever to use it for seeds! Awesome idea! 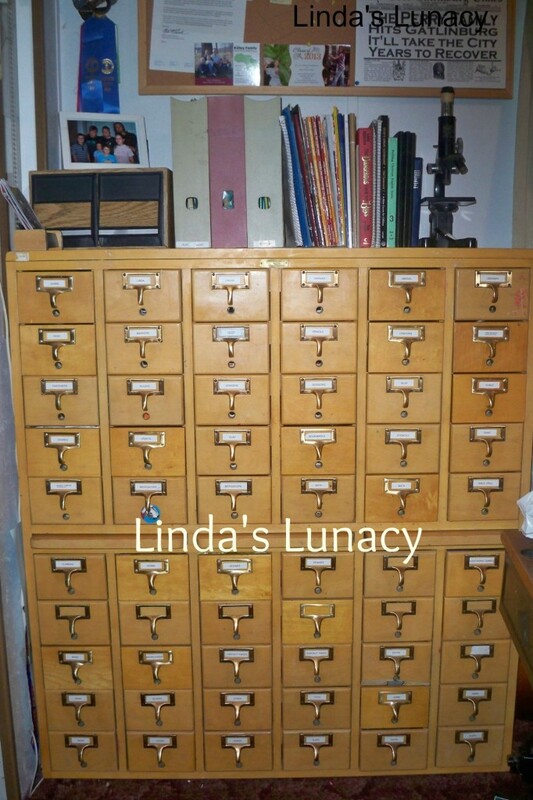 I had the chance to pick up a card catalog and a garage sale for $20. This was prior to divorce and boy do I kick myself for not grabbing it!! Didn’t have room at the time and ex would have had a cow.